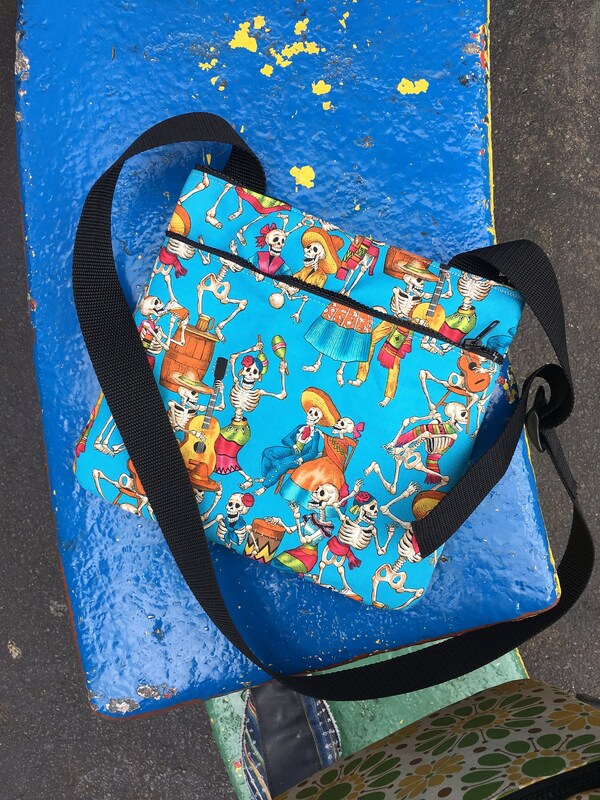 This is our Light blue "saddle" shoulder bag with a Dia de los Muertos cotton print depicting dancing and celebratory skeletons. The festive design of this fabric will bring a smile to your face. 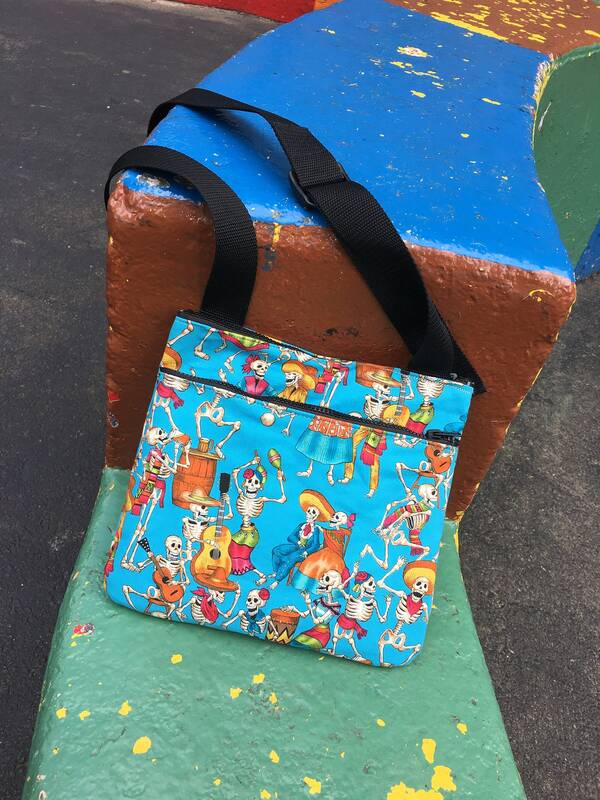 The bag is a flat lightweight design that features a water repellant lining a top zipper and an outside pocket zipper. 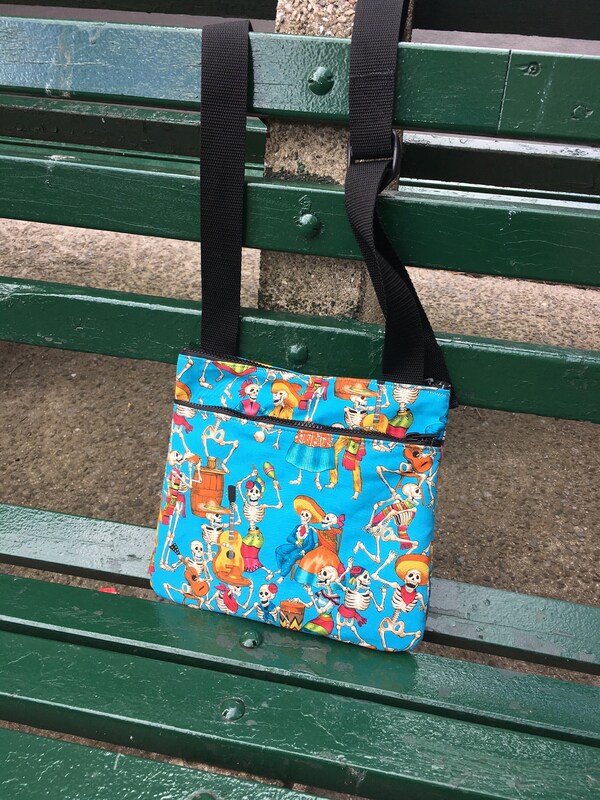 This bag also has a 1.5" adjustable black polypro webbing strap so the bag can be worn over your shoulder or cross body for hands free activities. Its the perfect bag for biking, stolling and shopping and just the right size to carry your essentials.